From time to time, unfortunately we have to cancel courses. We do everything we can to ensure that the course you book into goes ahead as scheduled. If a course is cancelled by us we will refund your course fees in full or you may like to transfer to another course. If it is cancelled due to forces beyond our control such as weather etc you will receive a refund minus an admin fee. We understand that circumstances can change your plans. If you notify us up to 1 week prior to commencement date of the course you are enrolled in, we will refund your course fee minus a minimum admin charge of $100 or you may like to transfer to another course. If you change to a new course date and are unable to attend the new date, your course fee will not be refunded. If you notify within the last week prior to training we will refund your course fee minus an administrative fee of 50% of the course cost or a minimum of $100 whatever the greater amount is. This will be made by the same method as payment was received. If you fail to notify of non-attendance 48 hours prior to training, no refund will be given. Refund timeframes advertised on brochures supersede this statement or if you contact and discuss your case directly with Di Hickey she may choose another option for you. If for any reason you fail to pay course fees for a course that you have attended, you will personally be liable for the course fee plus any costs associated with the recovery of the course fees. We respect the privacy of people attending our courses and do not divulge this to a third party without their permission. We use any material of a personal nature as part of the course with the permission of the person we are talking about. This permission is given to us and not you. You will not divulge the name of any other course participants, events or confidential information used within courses on social media or email or web without the express permission of the Director of DiH Health & Wellbeing Pty Ltd. Any breach of confidentiality could result in legal action for which you will responsible for all our costs as well as your own. 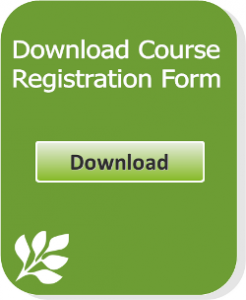 Courses advertised on this website are intended for educational purposes and are not intended as therapy or treatment programs unless they are advertised as such. Participants are encouraged to be responsible for their mental health and general wellbeing and seek medical attention if they have concerns or worries. DiH Health & Wellbeing Pty Ltd and businesses operating under our umbrella are not legally responsible for the course content provided by external contractors and will not be held responsible for any harm, intentional or otherwise, that may arise from the course not meeting the expectations of participants. Unless otherwise stated any material used on the DiH Mental Health Training website is copyrighted to DiH Health & Wellbeing Pty Ltd and cannot be used in full or in part without the express permission of Di Hickey. reduce any obligation you owe to us. The mhtraining.com.au website is not a substitute for independent professional advice and you should obtain any appropriate professional advice relevant to your particular circumstances. You must exercise your own judgement and carefully evaluate the material on mhtraining.com.au. 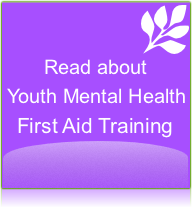 We strive to protect information you provide on mhtraining.com.au. 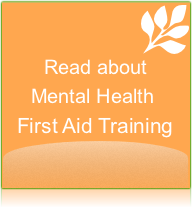 We will use all reasonable endeavours to ensure that mhtraining.com.au and your information are not compromised. However, we cannot guarantee that no Harmful Code will enter mhtraining.com.au. You should be aware of the risks associated with using websites. If you experience a problem or loss that is caused by the information you send to or via mhtraining.com.au your computer being compromised in some way or by something beyond our control, we cannot take responsibility for causing the problem. We will, however, do our best to help you if we can. Where connection to a system or website outside our control compromises the objectives of mhtraining.com.au, we may sever links to that website or system.